I was so nostaligic when I heard that Caps for Sale: The Musical was coming to Pittsburgh! My mind immediately flew to the memory of my grandpa reading this book to me over and over again when I was little. I don't know what happened to that book, but I can't wait to re-introduce my kids to this classic tale! 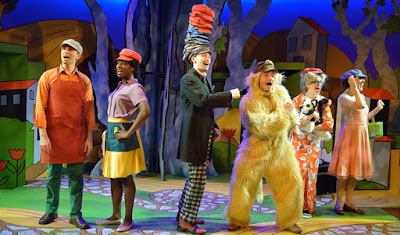 Turning it into a musical is even more fun as the music continues to capture kid's attention throughout the show. 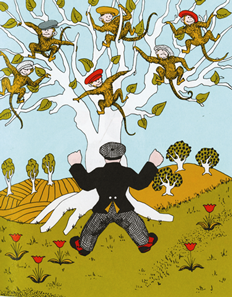 The Adventure Theater MTC musical, CAPS FOR SALE, is based on the children’s book by Esphyr Slobodkina. The cast of six (6) Washington, DC based professional actors will amaze you while playing eleven (11) roles, including a band of monkeys and a new character based on the author of the book and her cat, Scaramouche. The musical score, by Carnegie Mellon Graduate, Bill Yanesh, will have you singing and dancing. Michael J. Bobbitt (Playwright – Three Little Birds), co-writes the musical with Ann Marie Mulhearn Sayer, lifelong friend of Esphyr Slobodkina. 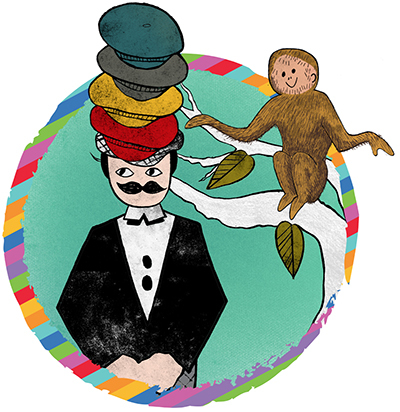 Director, Patrick Pearson, of the world famous Ford’s Theatre, leads a team of award winning DC area designers, to bring you the story of the Peddler and his funny Monkey friends to life. Celebrate the 75th Anniversary with the world premiere new musical. Recommended for ages 3 to 10, this musical is a wonderful educational experience that is sure to enchant the entire family. 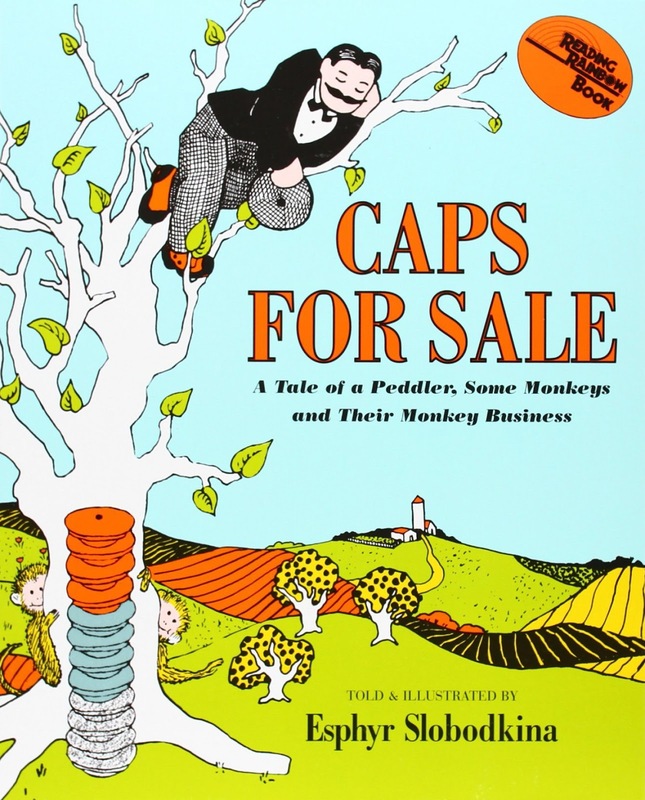 The peddler has a huge stack of caps, balanced carefully on top of his head. 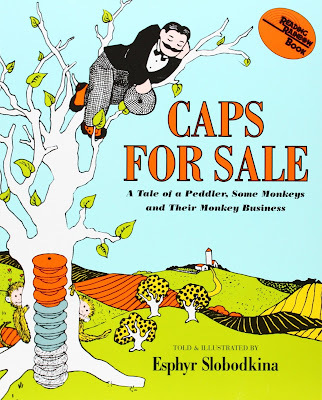 Brown caps, blue caps, gray caps, and red caps. But no one wants to buy a cap. So he goes for a walk in the country, and takes a nap under a shady tree. When he wakes up, the caps are gone — all except his own checked one. Where could his caps have disappeared to? And how will he ever get them back? Journey along with the peddler in his quest to find the mysteriously missing caps as the 60 minute presentation celebrates the 75th Anniversary of this favorite book. There will be 9 performances all around the Pittsburgh area! Tickets start at $10.50, kids 2 & under are free. East: Penn Hills High School, Wednesday, November 18 at 7 p.m.
North: North Allegheny Intermediate, Thursday, November 19 at 5:30 p.m. & 7:30 p.m.
West: Cornell High School, Friday, November 20 at 7 p.m.
South: Mt. Lebanon High School, Saturday, November 21 at 11 a.m. & 2 p.m.
Butler: Seneca Valley Senior High School, Sunday, November, 22 at 2 p.m. I have 2 tickets to give away to TWO winners! You will receive a voucher which can be redeemed for tickets by calling 412-456-6666, or purchased in person at the Box Office at Theater Square, 655 Penn Avenue, Downtown Pittsburgh. Giveaway is only open for 3 days, click below to enter! I love The Citizens Bank Children’s Theater Series which bring kids shows to Pittsburgh that showcase imagination, creativity and fun from around the world! Future shows for the 2015-2016 season include Junie B. 's Essential Survival Guide to School, Room on the Broom, Big Bad Wolf, and Goodnight Moon and the Runaway Bunny. Presented by Pittsburgh Cultural Trust. Go here for more details. I'll always remember seeing Annie on Broadway as a child! Kristina Katerina and the Box. My mom gifted us a copy as soon as we brought our daughter home. She now loves it too! Literacy is my passion, so it's tough to pick one! But one of my all time favorites is Charlotte's Web! I loved doing it as a read aloud when I taught kindergarten too! Kristina Katerina and the Box was my favorite picture book! Check out Minted holiday cards!